ACT prep experts - We help students achieve success by offering high-quality classes and tutoring sessions that focus on reviewing core subjects, learning test-taking strategies and taking real ACT practice tests. 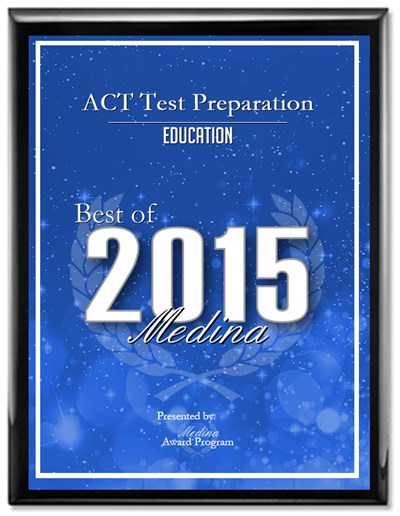 High-quality ACT and SAT prep programs. "My daughter's ACT composite went up 6 points!" "I just wanted to thank you again for such a great ACT test prep crash course. My daughter's composite went up 6 points, one of her scores went up 10, and one went up 9. She had taken the ACT two times before and couldn't crack 30 even though she is gifted. Your class increased her confidence and gave her the strategies she needed to do well." - R.O. Class time is spent reviewing skills, solving problems, practicing and learning test-taking strategies. Classes meet once a week for five weeks. Strategies, practice questions, problem solving and skills review in a 1-day intensive class. Lunch and all class materials are included. We offer Individual and small group tutoring. Experienced teachers give students personal attention while offering individual skill evaluations, personal study plans and ACT test score review and evaluation. My daughter took your class this summer and she took the ACT test in September. I just thought I would let you know that she raised her score to a 31. We are ecstatic! "My daughter's ACT composite went up 6 points!" -M.S.